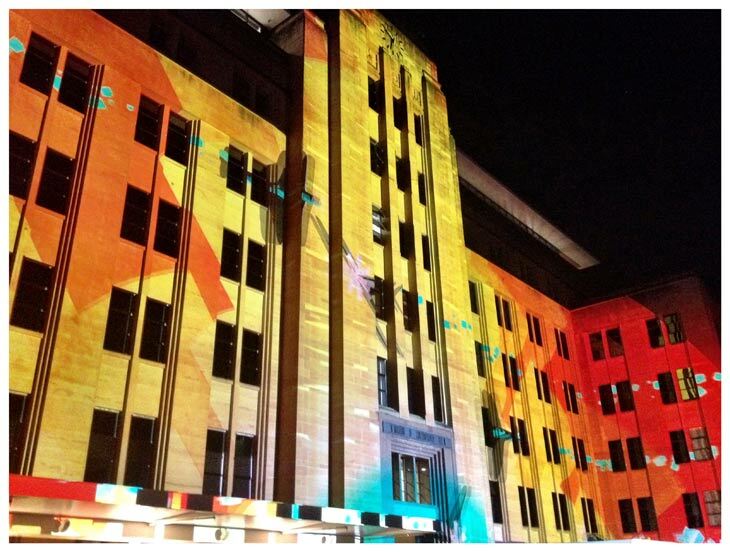 Sydney will be lighting up again on 27 May until 18 June for Vivid Sydney. The 23-day festival of light, music and ideas will transform the city into the world’s largest outdoor ‘art gallery.’ The wonderland of ‘light art’ sculptures, innovative light installations and grand-scale projections are available for everyone to enjoy – for free. Last year the festival broke visitation records with more than 1.7 million attending and it’s now considered one of the world’s renowned festivals. There’s more to Vivid than lights though. A cutting-edge contemporary music program will be on offer featuring local and international acts performing at the iconic Sydney Opera House, to other large venues and small bars around Sydney. Vivid Ideas is the Asia Pacific’s annual celebration of innovation, creativity and community. During the festival, Vivid Ideas brings together business and creative leaders for professional development, information updates on their industries, market opportunities and innovation. Our award-winning Kirribilli restaurant is located right near the Vivid action. Only a short stroll to Milsons Point train station and the Harbour Bridge, each year people use Kirribilli as a starting point or end point in their Vivid journey. Our relaxed, al fresco restaurant is in the ideal location to start the night with an early dinner. Or stop by for coffee and dessert afterwards, or perhaps a drink, after you’ve enjoyed the festivities. We followed a family on their Vivid Experience, we thought it would be fun to share here! 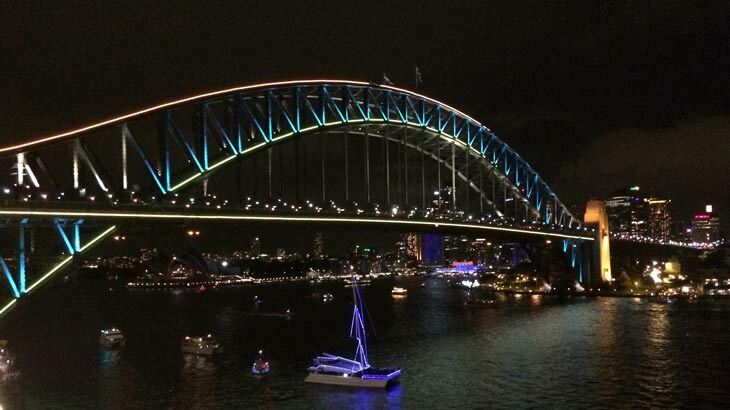 Dinner at Garfish Kirribilli, then a walk over the bridge to enjoy the Vivid Lights. If you’d like to dine with us for dinner, you can contact Kirribilli directly on 02 9922 4322 for bookings. Kirribilli’s menu changes monthly, so you can always expect the freshest produce of the season and the latest creations from our chefs. Located opposite the harbour and only a short walk from the ferry terminal, Manly Garfish is the perfect dinner solution before you head into the city to see Vivid. And if you’re going to see Vivid during the working week be sure to take advantage of our Prix Fixe special. Between Monday and Thursday evenings from 5.30 to 6.30pm, you can enjoy a great value seafood meal for only $40 for 2 courses, plus a glass of beer or wine. Call Manly on 9977 0707 to book your pre-Vivid dinner.